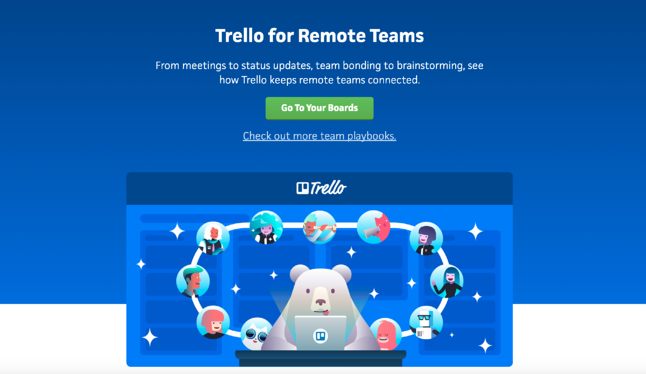 A workday with a remote team might look and feel a little different than your typical Office Space. The cubicles may have been replaced with cozy home office hygge, but the fundamental ways of working don’t change. 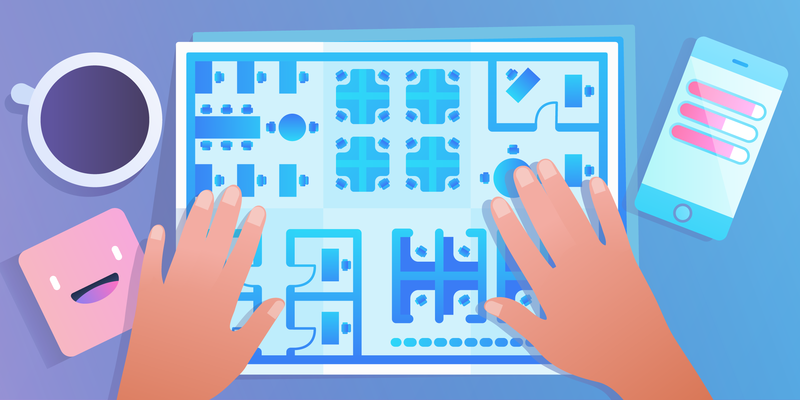 When you add distance and technology into the equation, the fact is that distributed teams need to work harder at how they interface together. 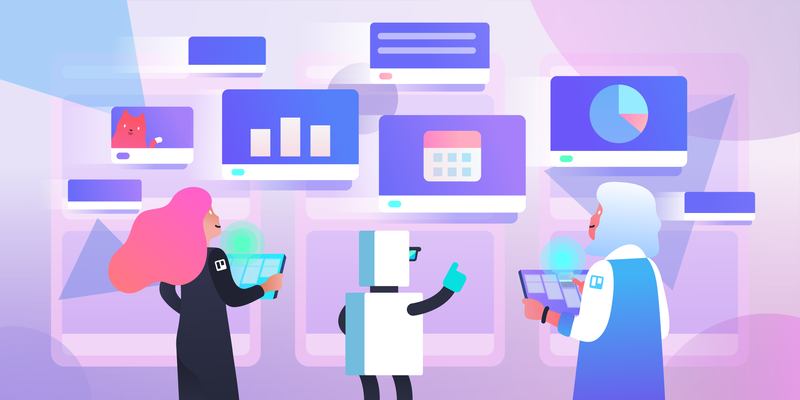 Team dynamics start with “embrace remote” best practices and team strategy, such as overcoming stereotypes, setting communication rules, and building company culture. Sooner or later, however, you need to get to work. 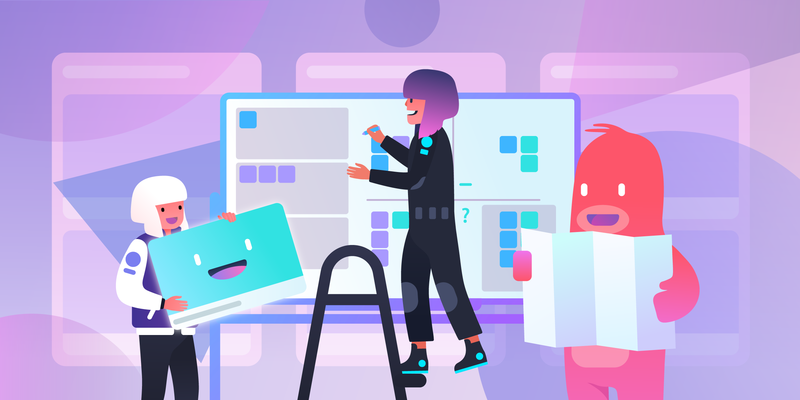 When you’re pushing the boundaries of traditional teamwork, it’s normal to stop and think: What do these principles actually look like in practice? 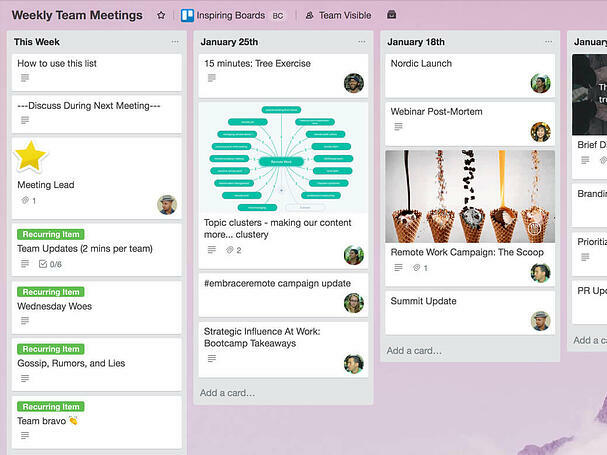 From team meetings and brainstorming, to bonding and offsites, there is a Trello board workflow that can help remote teams stay on the same page. 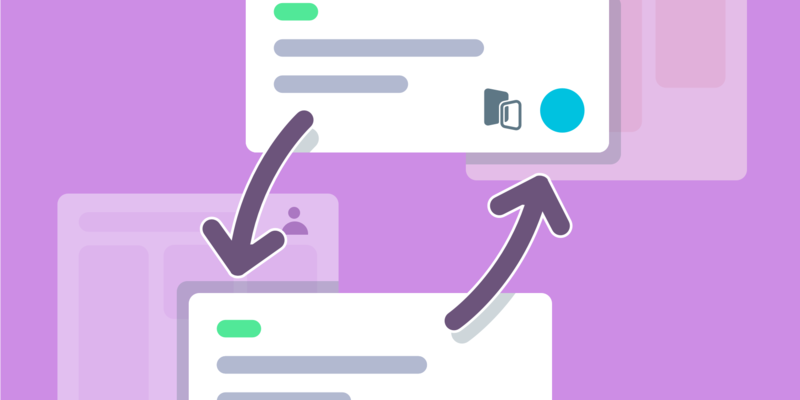 These are everyday processes tested by real remote teams, now available to copy and customize with your crew! Here's a preview of the included five boards.  Click on any one to be taken to the playbook! 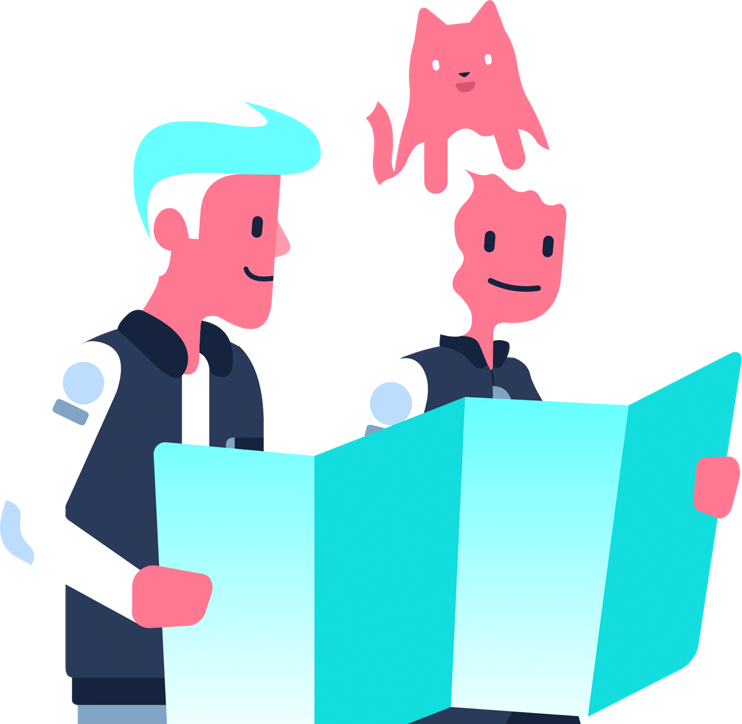 Team Hub: Your team’s mission control, eliminating email back-and-forth in search of resources, due dates, vacation calendars or weekly progress updates. 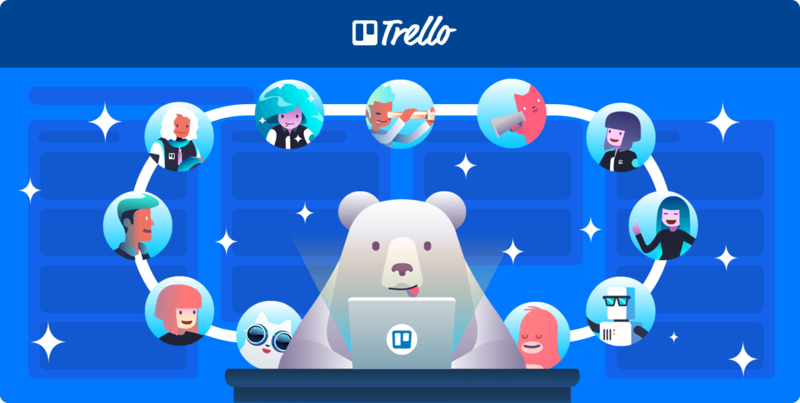 Bring On The Brainstorming: Put Trello’s “virtual whiteboard” powers to the test with this collaborative remote brainstorming process that challenges bias and keeps up the healthy competition. 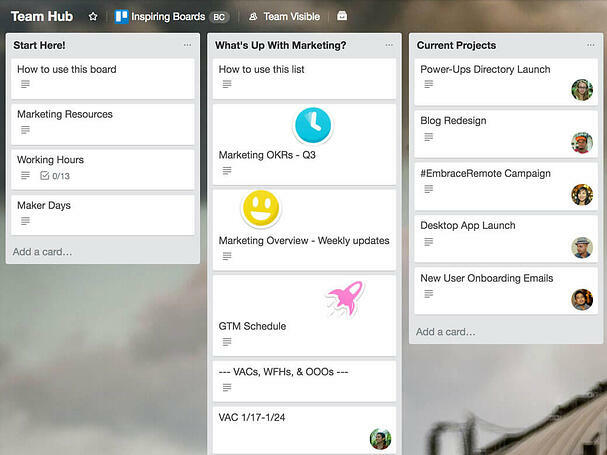 Get the strategy behind the sample board from this remote brainstorming tutorial. 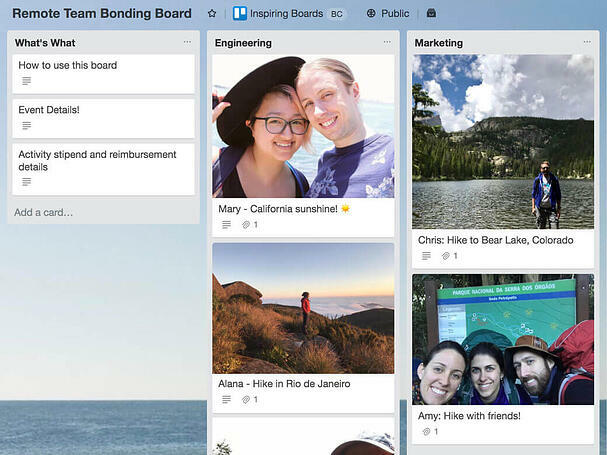 Team Bonding Events: You don’t need to all live in the same place to bond over a holiday or fun challenge. 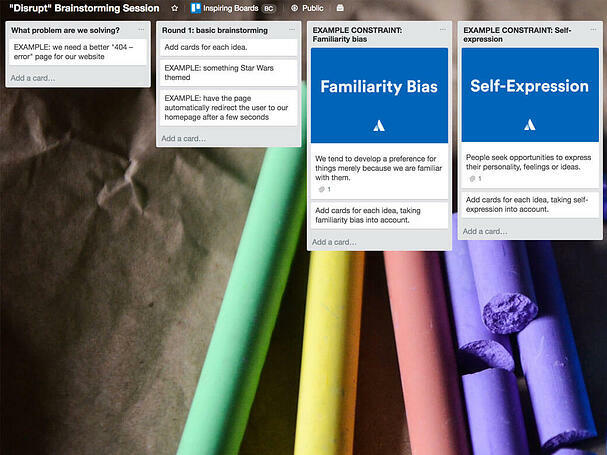 This is how Trello comes together during all-company remote events. 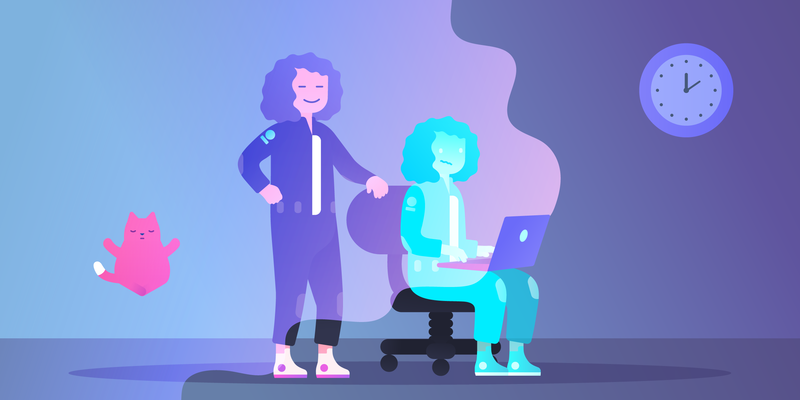 See how we gave our entire remote team the day off, but still remained connected. 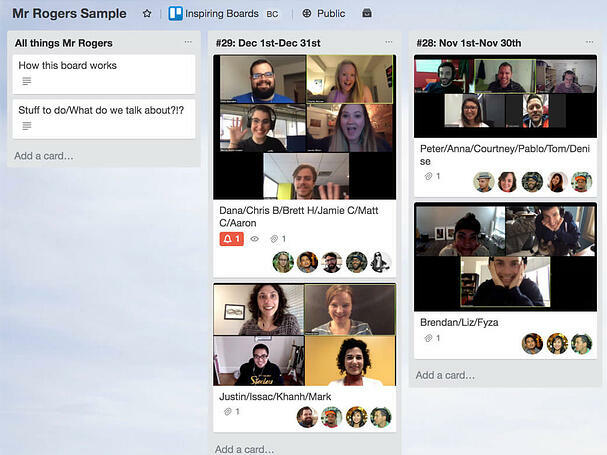 Mr. Rogers: Trello’s signature get-to-know your neighbors company culture program. 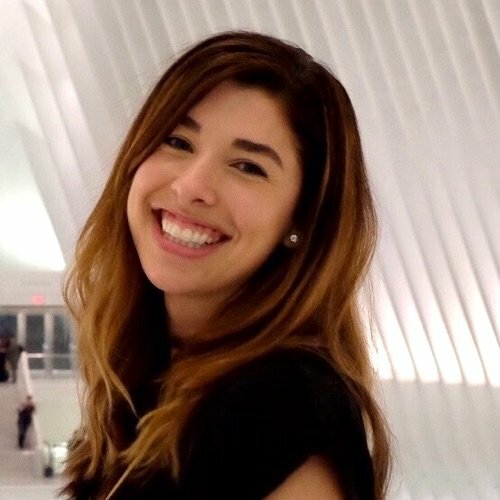 It’s amazing what you can learn about people in a monthly half hour video chat! Rest assured that you and your team will reap the benefits of actively working at how you work together!